← MAKE A COVENANT WITH YOUR EYES? OBSERVATION: Have you been a victim of the “Cause and Effect” Lie? What is the “Cause and Effect” Lie? This lie always tries to link the events in one’s life to their actions. If someone faces difficulty in life it is either because they are being attacked by the enemy, or they have sinned. If someone is sick it is because they don’t have enough faith, or they have committed some sin. The “Cause and Effect” Lie is nothing new. It was the common mindset of the Jewish people of Jesus’ time. And Jesus hits it head on in these 5 verses in the Gospel of Luke. Jesus refers to two groups of unfortunate people. The first were some Galileans that Pilate had executed while they were sacrificing animals. The second was a group of 18 people who were killed when the tower of Siloam fell on them. Was this because of their sin? The Jewish mindset said – Yes! The teaching of Jesus said – NO! Jesus asked – “Do you think that they were more sinful than other people living in Jerusalem?” This was a leading question. It understood their bias, and led them to the proper answer. Their personal sin had nothing to do with these two situations. Jesus uses this as a teaching moment to call those He is speaking to, to repent. Jesus said – “No! I can guarantee that they weren’t. But if you don’t turn to God and change the way you think and act, then you, too, will all die.” The ultimate issue was not assigning blame for what happened. The ultimate issue was realizing that if these things happened because of their overt sin, then we are all doomed to the same fate – for we all are sinners! Now some may immediately object. 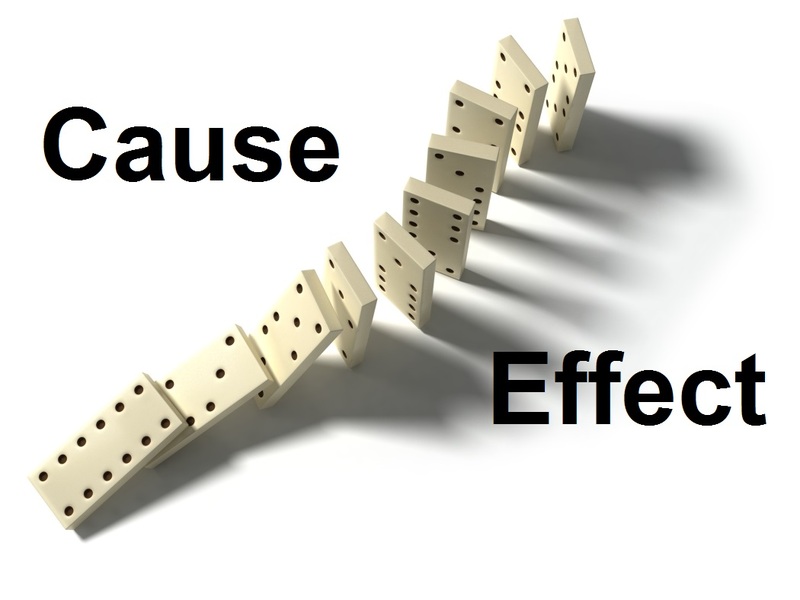 Are you trying to say that there is never “cause and effect” for a person’s actions. Absolutely not! The Bible is very clear on this subject. We are not to be deceived. We will reap what we sow. However, this is very different than casually assigning guilt to someone for a trial, difficulty, or sickness they may be facing. This is when we set ourselves up as God, and act as judge and jury. We live in a fallen and sinful world. Bad things happen to both the just and the unjust. When over 3000 were killed in the 9-11 bombings in New York it was not because they were all greater sinners than those who did not die. They were just caught in the evil of this fallen world. Rest assured, there were many righteous who fell that day who now stand in the presence of our risen Lord! So how do we unravel all of this? First, we must stop assigning judgment to people who are suffering, struggling, or sick. We must come along side of them, pray for them, and bring them to Jesus. We must trust the Holy Spirit to reveal to their hearts if there is anything they need to repent of. We must stop falling into the “blame game”. Second, we must look into our hearts and live a life that is purposes, positioned, and actively walking in a posture of repentance! We must take heed to where we stand, lest we indeed fall. Jesus said He did not come to condemn sinners but to save them. As one sinner to another – I rejoice in that truth! I need to have the same grace, mercy, and love for others that Jesus has for me. There is no room for the “Cause and Effect” Lie in the heart of a follower of Jesus Christ! Lord, forgive me for the times when I have quickly judged others. Forgive me for the times when I have lacked compassion for those who are hurting, struggling, suffering, or battling sickness. Give me Your Compassion, Your Love, and Your Mercy for all – including myself!